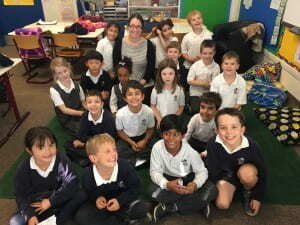 My Class at the British Berlin School! Why did you choose to teach where you did? When opportunity knocks… open the door! I first heard about teaching abroad this past spring. A guy came in to talk about how he student taught in France and how he is currently teaching in France because of this. After class was done I went and talked to him about how he was able to do this. He told me about a program, through the school, that allowed him to pick a country and teach there. I knew this was something that I had to do. With my love of traveling and my desire to teach, I applied to teach abroad and (spoiler alert) was accepted! My first choice was to teach in Vienna but God had other plans for me. I wasn’t able to teach in Vienna but was accepted to teach at the Berlin British School in Germany. What were somethings you had to get used to living in Germany? There are many thing that I will have to get used to. 1. Most stores (including grocery) are closed on Sunday. 2. Your life doesn’t revolve around your schedule… it revolves around the U-bahn, S-bahn and Tram schedules. 3. You can’t be soft spoken. 4. It will feel like leg day every day. 5. If someone tries to hand you something, don’t take it. They’re probably trying to take something from you or get you to buy it. Also, your purse is your best friend so always keep a hand on it. 6. Don’t smile. It’s considered flirting. But for real. 7. If you need help with translating or getting somewhere just ask. People are typically very friendly and then you have a new friend. 8. Almost every building has some sort of historical significance. So take lots of pictures. 9. Yes, there is a McD’s 2 blocks away and you did pass a BK’s on the S-Bahn but…. TRY NEW FOODS! Living in a different country provides opportunities that may never come again. Being adventurous is the best way to enjoy my time here. What are some things you enjoyed learning while abroad? 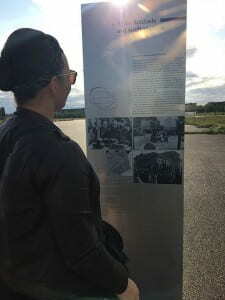 Walking around Berlin there is history around every corner. It’s amazing what I’m learning along the way. I discovered that there is an abandoned airport in the middle of Berlin. In 1948, Soviets cut off West Berlin from having access supplies. This was done because West Berlin was located in the middle of the Soviet’s portion of Germany. They were afraid of what might happen if the anti-Soviet West Berliners united against them. In response, Operation Vittles was formed. Within the next year the Allied forces sent around 2.3 million tons of cargo to West Berlin to keep them from falling apart. 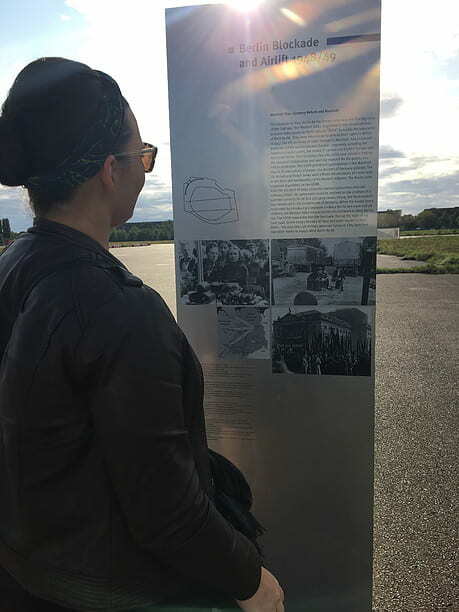 The Berlin Airlift is a memorial (located in “Platz Der Luftbrucke”) to those who died trying to help the people of Berlin get the supplies they needed. 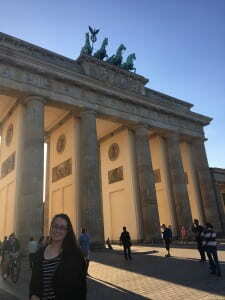 Want to read more about my experience abroad? Follow my personal blog posted below!